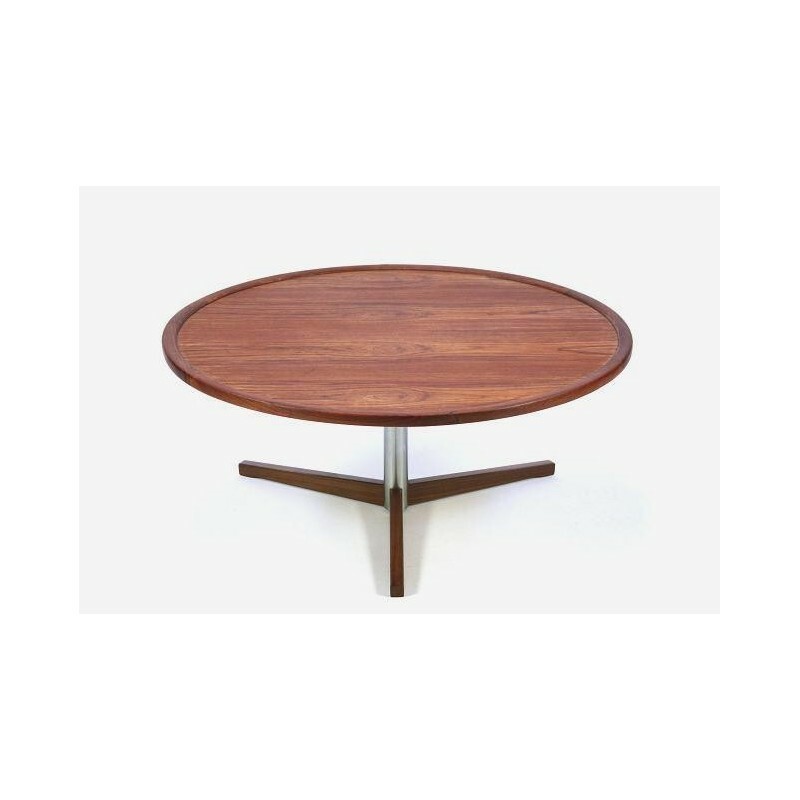 Beautiful coffee table with teak top and feet from Scandinavia. 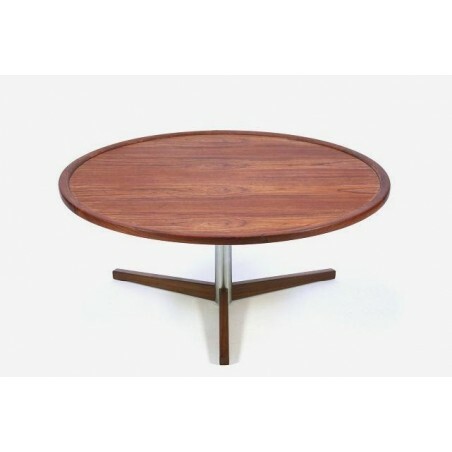 The table is from the 1960's and is in a good condition ( see also the detailed pictures). The top has a nice wood flame and the edge is a little higher. The dimension is 42,5 cm high and 100 cm in diameter.